and programming are all active areas. Planning for the One Book One Province, Saskatchewan Program is exciting; plans are in place for 7 reading events at various locations across the province. Details can be found on the SLA website. It's incredible to see the work being done and the connections being made between libraries, sectors, and between libraries and surrounding communities. The commitment of library workers and users to their communities and the resulting user engagement in libraries and their programs, services, and resources is evident and exciting. It was confirmed in January that SLA would receive its annual funding from SaskCulture. This is a funding source that has been incredibly important for SLA. It is a significant amount of money and without SaskCulture, we would not be offering the programming and resources that we do. Thanks again for your interest in and commitment to SLA! We wouldn't have a vibrant organization without you. Regina location is La Bodega at 2228 Albert St (between 14th and 15th Avenues). Saskatoon TBA:- SLA does not provide funds for the winter social. If we recruit a host and determine a venue a newsflash will be sent out. The Conference Prospectus has been sent to potential sponsors and exhibitors. We are most appreciative of those who support the conference through sponsorship or purchase of display and vendor booths. 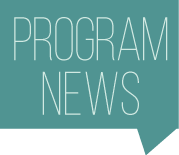 The program is currently being finalized; presenters who submitted proposals have been notified. We expect a program to be available on the website mid-February. The 2019 SLA Conference is shaping up to be one you don't want to miss! We are pleased to announce freelance writer, journalist, and broadcaster Zarqa Nawaz as the speaker for the Mary Donaldson Memorial Lecture. Best known for her hit CBC comedy "Little Mosque on the Prairie" and bestselling comedic memoir, "Laughing All the Way to the Mosque," Zarqua has worked in various positions with the CBC and CTV. We are also excited to welcome Jack Saddleback as our keynote speaker. Jack is a Cree two-spirit transgendered gay man from Samson Cree Nation. Renowned for his ability to eliminate gender barriers through the power of his words and life story, Jack is an executive member of the University of Saskatchewan Students' Union and spokesperson for Mental Health Commission of Canada. Our featured speaker this year will be Winnipeg-based librarian Monique Woroniak. Both in her capacity as a librarian and as a volunteer, Monique works tirelessly to support relationships between Indigenous and non-Indigenous peoples. Her website groundworkforchange.org explores topics, concepts, and strategies that encourage non-Indigenous peoples to act in solidary with Indigenous peoples. These wonderful speakers are just the tip of the iceberg. Follow us on facebook and twitter for weekly updates on registration, the pre-conference workshop, and more! It's cold outside - so why not keep your professional skills fresh and current without leaving your home or office? Check out upcoming webinars at the Education Institute (EI), a learning resource for the library community. The full calendar can be accessed here. It's more cost-effective to learn as a team. For information on EI all-access passes for institutions, contact OLA Training and Education Specialist Steph Guthrie: sguthrie@accessola.com. Public library pages are often forgotten about, for many reasons. This webinar will focus on existing barriers to library pages, how the Collingwood Public Library has taken steps to motivate and inspire library pages in their current position, and how small changes can lead to big success for part-time staff. During this webinar we will consider 8 scenarios that may arise in a library in which someone wants to make use of a copyright-protected work for a certain purpose and in a certain manner. We'll discuss each of the scenarios and refer to a flowchart to assess the status of each work, identify best practices, and determine outcomes. Whatever the topic, whoever the audience, wherever the venue, there are enduring guidelines for delivering a successful presentation. Part advice, part motivation, this webinar will encourage everyone to become a good communicator - you have the requisite qualities: humour, energy, sincerity and friendliness. Learn how to evaluate the customer experience at your library through the lenses of your customers and staff. This webinar will introduce participants to design thinking techniques, customer journey mapping, and service blueprinting to devise an exceptional customer experience at your library. Studies show that "fake news" is hard for kids to spot - but the internet is where they live, research and socialize. This interesting and practical session will help you teach kids how to avoid fake news and find the good stuff online. Professional Development activities can have a huge impact on your career! And SLA can help! Have a great idea for a workshop for library staff? Interested in attending a conference, workshop, or professional development opportunity? SLA offers Continuing Education (CE) grants to provide and support relevant educational opportunities for its members. Applications for CE category one, two, and three grants are now being accepted. All applications are due by February 15th, 2019. Details are available on the website. A great opportunity to contribute to your profession! As a board member you have an opportunity to lead and influence the direction of the Association. You will become familiar with issues affecting libraries of all types. As an organization we work collectively to improve and support libraries through advocacy, communication, stakeholder engagement, professional development and networking. You will gain experience that contributes to your professional portfolio and at a personal level, you get to make new friends and contacts. This talk was presented at the University of Regina Academic and Special Library Celebration Symposium on December 6th, 2018. Good morning. I'm excited to be here to speak about law libraries, because working in a law library is an experience I've found to be deeply rewarding. 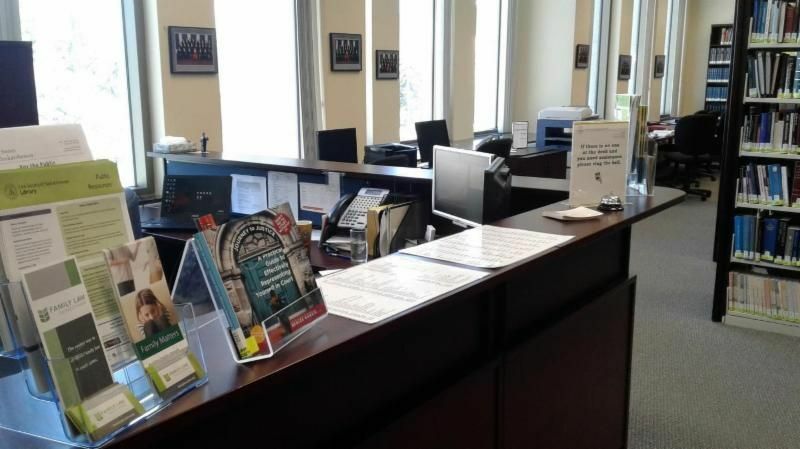 I'd like to take this opportunity to provide some background on the Law Society Library, to talk about what I do as a law librarian, and to convey the vibrancy, variety, and complexities of modern law libraries. Read more. Congratulations to Theressa Slind, who has been awarded a mentorship opportunity with the Saskatchewan Writers' Guild. She is paired with Saskatoon writer Sylvia Legris.Theressa is also our proofreader for SLAte. Well done Theressa! In 1984, Marion Sherman retired after serving Wapiti Regional Library for 34 years. To commemorate her service, the Wapiti Regional Library Board created the Marion Sherman Bursary to help promote librarianship in the province of Saskatchewan. The bursary is open to students currently enrolled in the Saskatchewan Polytechnic Library and Information Technology diploma program. The province is celebrating Saskatchewan Archives Week 2019 from February 3rd to 9th;marking the 14th consecutive year that the Government of Saskatchewan has proclaimed the first full week of February as "Archives Week".This is an annual event showcasing the culture and lives of the people of Saskatchewan through documentary records collected and preserved in archives; and the role thatarchives and archivists play in preserving and making available this abundant heritage. Have a look at the posters for Saskatoon and Regina events. The Saskatchewan Library Association (SLA) is having a contest! We are looking for a theme for Saskatchewan Library Week (October 20-26, 2019) that is short, catchy, and represents all the library types in Saskatchewan. The successful entry will be used on all of our promotional materials-posters, bookmarks and advertising. SLA Board, staff, and committee members are eligible to submit entries, but are not eligible to win the prize (a $25 Chapters gift certificate). Deadline for submissions is 4:30 p.m. March 29, 2019. 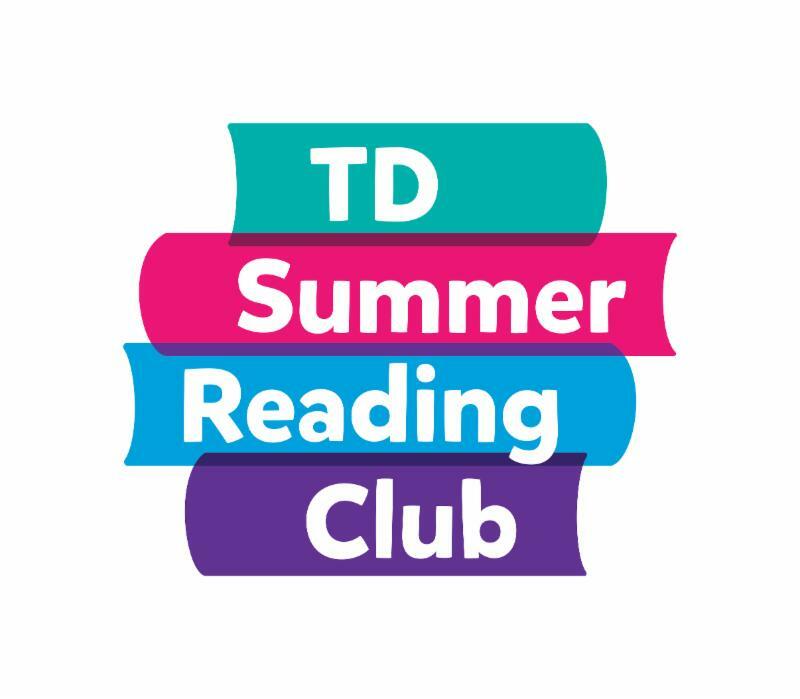 The TD Summer Reading Club staff site is now live. 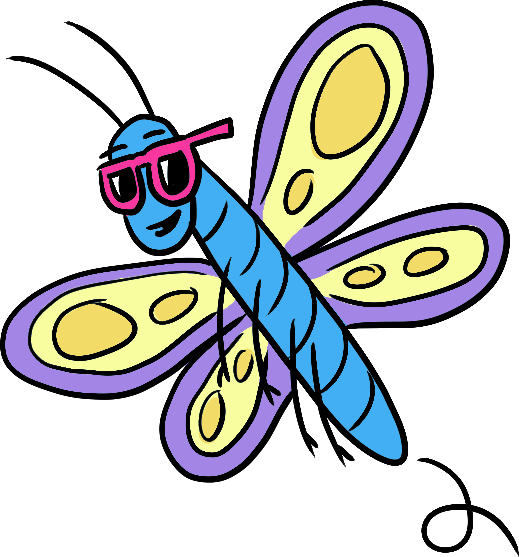 Visit the site for images, colouring pages and more! Freedom to Read Week 2019 is February 24 to March 2, 2019. You should also have received your Freedom to Read Week and One Book, One Province, Saskatchewan posters by now. Plans are now in place for library events and partner events throughout the province. SLA has a limited number of extra One Book, One Province, Saskatchewan posters which can be sent to you upon request. Please contact Anne at slaprograms@sasktel.net or (306) 780-9409 if you would like more. Lisa Bird-Wilson has published an article in the SWG's magazine, Freelance and has made it available for us to circulate. Read the full article here. Thank you to Lisa and the Saskatchewan Writers' Guild for permission to reprint. The Saskatchewan German Council is also hosting a lecture in Saskatoon on March 22nd. More details can be found here. Read the Saskatoon Public Library media release asking multi national publishers to make more digital content available. Congratulations to May P. Chan whose collaborative article has just been published in the Partnership Journal. SaskBooks and its Board of Directors invite nominations for the Recognition for the Advancement of Publishing award which acknowledges the commitment, leadership, excellence and innovation, and mentorship by individuals or by individual publishers who operate(d) in Saskatchewan. Read more. Statistics Canada is holding workshops in Saskatoon. More information is available here. 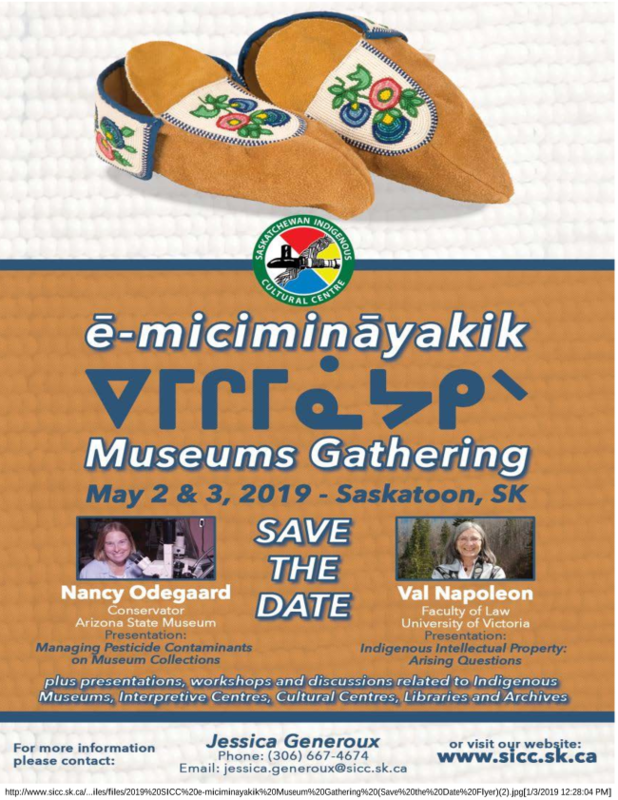 The Saskatchewan Indigenous Cultural Centre (SICC) will host its first ē-micimināyakik: Museums, Cultural Centres, Archives, Interpretive Centres & Libraries Gathering on May 2-3, 2019 at the Ramada by Wyndham Saskatoon in Saskatoon, SK. An event of this scope has never been held in Canada. This Indigenous focused gathering will include presentations, keynote addresses, workshops, large and small group discussions and networking opportunities. Our goal is to share issues, ideas, progress and solutions for First Nations museums, cultural centres, archives, interpretive centres and libraries. The Indigenous gathering is primarily attended by Indigenous curators, archivists, librarians, researchers, interpretive centres and museum professionals. However, we fully expect Indigenous grassroots community members and leadership in attendance.